Finding the right handyman to help you on emergencies or home improvement projects can be daunting. The search is not as easy as you think. In Inner West alone, many companies and independent handyman are promoting their services. Getting one is not hard but having someone you can trust in your emergencies can make a difference. So how do we find the right (handy) man for the job? Before you start looking for a handyman it is best to know what are the jobs that you needed done. Finding a professional that is best suited for the job will eliminate the hassles and costs of trying one handyman after another. You must remember that a handyman has no license but instead they are the Jack-Of-All-Trades, as they know a little about everything. Smaller jobs are usually best suited for a handyman rather than large projects. 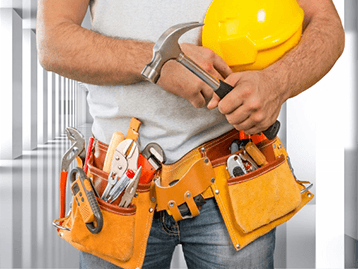 Skill Pro Handyman in Sydney Inner West for instance has a team of experts who has broad range of skills and extensive experience in handling the jobs that you may require them to do. There are several ways on how you can find a good handyman, but nothing beats the time-tested method of asking your friends, family and neighbor who may have them in their speed dial or someone that they would recommend. The web is another source for information about the available handyman in your area. Many companies have their own sites that are easy to navigate. Explore your options but make sure that the one you’re choosing comes highly recommended. When hiring a handyman, don’t just pluck anybody from the directory or a single website. In our modern world, service industries live and die by reviews. It is human nature to do the job right because you know that your reputation is on the line. The best way to find a good handyman is from reputable sources like Google, Yelp or Angie’s List. When you have decided on a handyman, better ask for a list of references. Call them and ask for information. You can ask them how professional, friendly and helpful the handyman was and if possible, you may request for photos for the work completed. With Skill Pro Handyman, you will hear nothing but good reviews on their service. 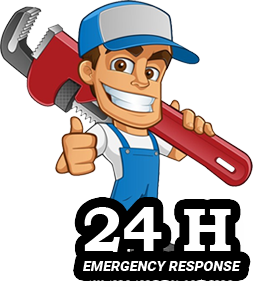 They are the trusted handyman in Sydney Inner West for the following services: bathroom repairs, installations, painting services, door repairs, installation, and many other jobs. When you have set your eyes on a selected handyman, it is time to set up an appointment. By doing this you will be able to find the handyman you will feel comfortable with and see for yourself how is their customer service. You need to see if they are courteous, on time and knowledgeable about the job on hand. Getting a handyman who you can trust is easy if you follow the tips mentioned above. If you are living in Sydney Inner West, look no further. Skill Pro Handyman has a team of experts with proven record of accomplishment in repairs and installation. Call them now. To further discuss your specific project and requirement, please feel free to contact Skill Pro NOW!